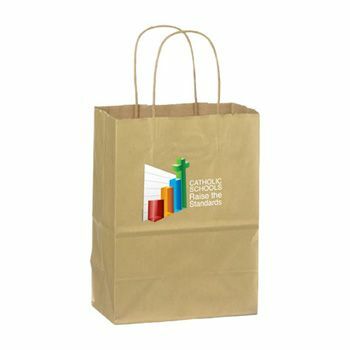 Made with 100% recycled material. 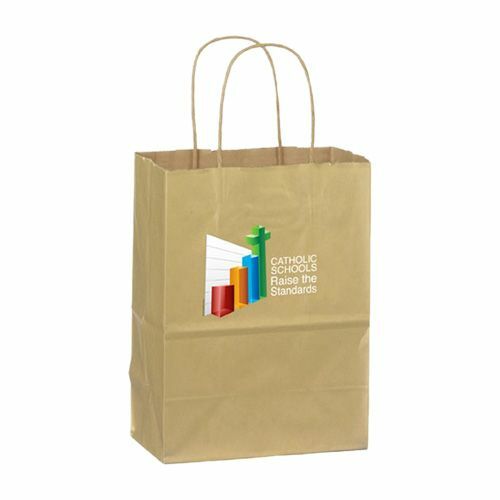 These imprinted matte shopping bags are quite stylish, they enhance the perception of your brand in the public eye in an cost-effective and eco-friendly manner. 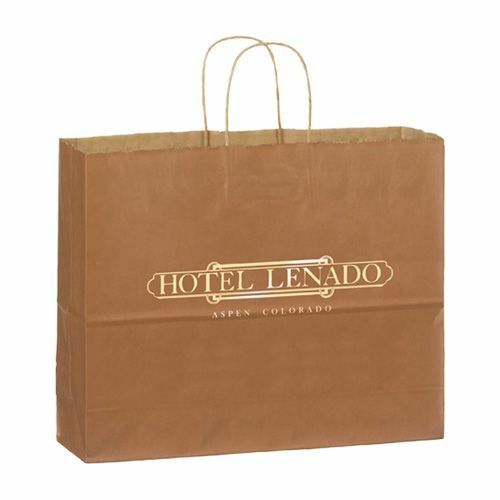 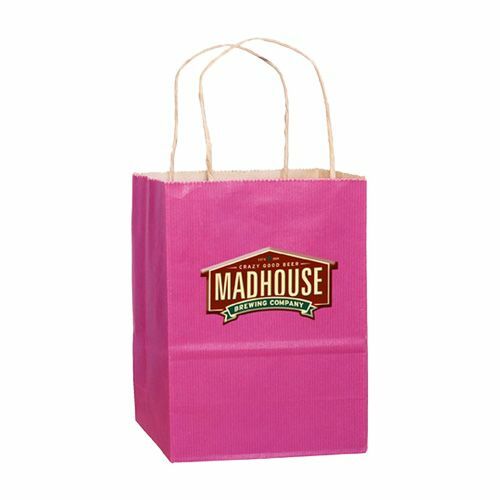 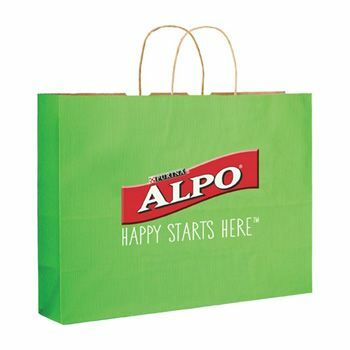 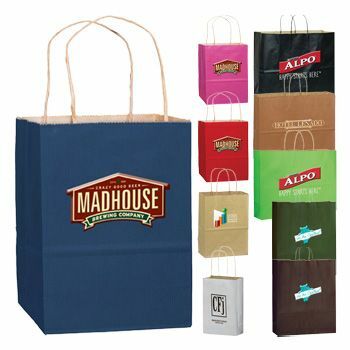 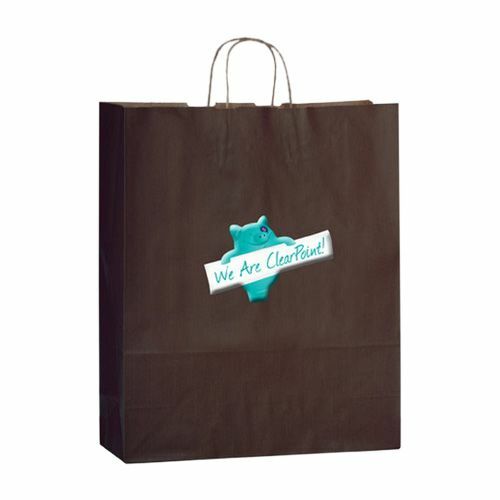 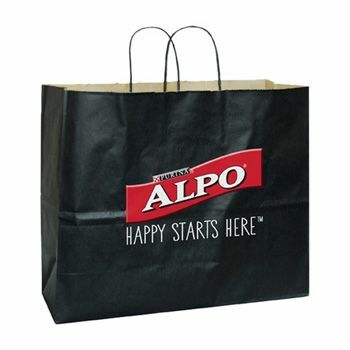 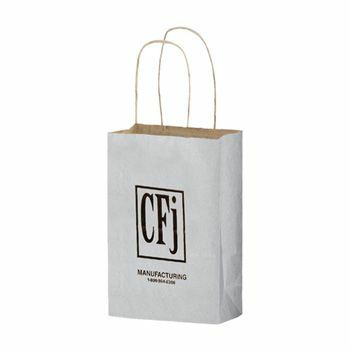 5 X 3.5 X 8"
When it comes to brand styling in the mall or anywhere else these shopping bags can do the speking for your brand. 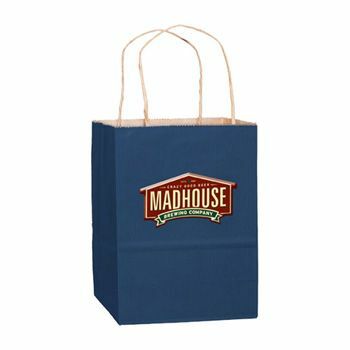 Effortless to carry and stylish they include a free second color plate making it easy to choose an attractive color palate to enhance your custom image. Rush delivery is available and on-time production is guaranteed. These shopping bags are foil stamped or full color heat transfer, they look they reflect adds an extra bit of flare to make your branding more memorable in sunlight.